The Aerial Archaeology in Jordan Project has mapped out a mysterious ancient wall in Jordan extending for some 150 kilometers (93 miles), leaving archaeologists perplexed as to how it was built and why. Live Science reports that the existence of the wall was first reported in 1948 by Sir Alec Kirkbride, a British diplomat in Jordan, who had seen the structure overhead while in an airplane. However, it is only now that the wall has been mapped out in detail with aerial photography by the APAAME, a long-term research project designed to illuminate settlement history in the Near East. While the locals have long known about the existence of the wall, no attempts had been made until now to investigate and map out the details of the ancient structure. Archaeologists with the Aerial Archaeology in Jordan project therefore set out to photograph and create a detailed map of the wall, revealing that it contains sections where two walls run side-by-side and other sections where the wall branches off in another direction. 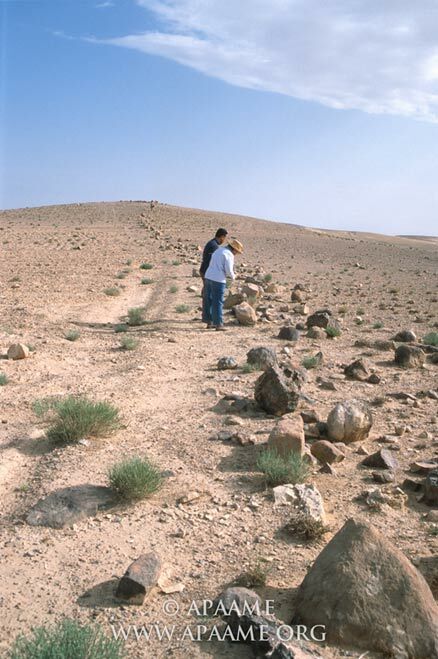 "If we add the spurs and stretches of parallel wall, the total [wall length] may be about 150 km (93 miles)," wrote David Kennedy, a professor at the University of Western Australia, and Rebecca Banks, a research assistant at Oxford University, in a paper published recently in the journal Zeitschrift für Orient-Archäologie. Sir Alec Kirkbride’s observation of the ancient wall was recorded at the time in the journal Antiquity. Kirkbride reported that the local inhabitants refer to the wall as “Khatt Shebib” (Shebib’s Wall), who claim that the wall was built by a prince of the Himyarite dynasty named Amir Shebib el Tubba’i el Himyari, who ruled Transjordan before the advent of Islam. However, others argue that the wall was not built by Shebib but simply used by him in the 10th century AD as a border marker to separate the arable land with water to the west from the barren hills and deserts of the nomads to the east. The wall is believed to have originally been a meter or a meter and a half (3.28-4.92 ft.) in height, and was rough with no solid foundation, consisting simply of boulders piled one on top of the other. Nevertheless, the sheer size of the wall suggests that its construction was no easy feat. Along the Khatt Shebib wall, archaeologists have also identified over 100 ‘towers’ measuring 2 to 4 meters (6.56-13.12 ft.) in diameter. They are thought to have either been places of refuge or small watch posts that could have had one or two men stationed there to watch for raiders trying to cross into their lands. However, the wall and towers sit in a wider landscape of ancient structures that have mystified archaeologists for decades. 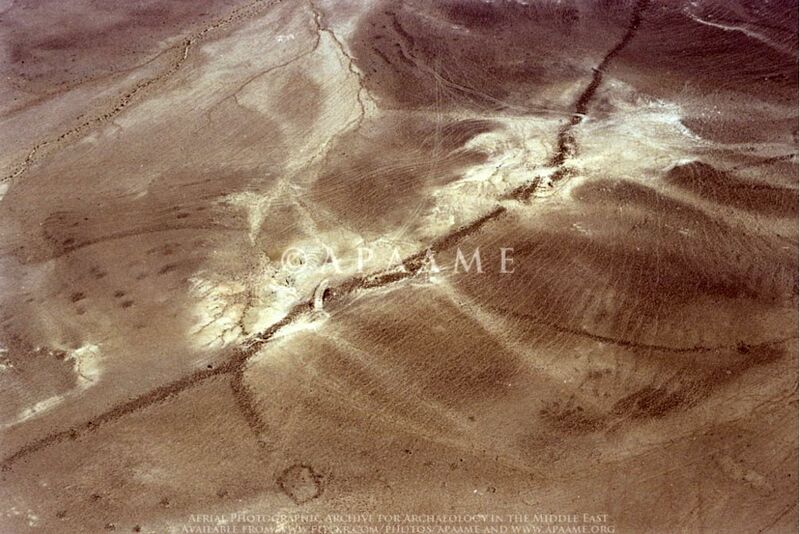 Also situated in the deserts of Jordan are giant geoglyphs and earthworks in the shape of rings, kites, and wheels. The so-called “ Works of Old Men ” are a series of giant ‘wheels’ that have been dated to approximately 8,500 years – making them older then the famous Nazca Lines in Peru by about 6,000 years. Archaeologists are still uncertain about who constructed the giant earthworks and structures across the landscape of Jordan and what their original purpose was. It is hoped that further investigations may help to unravel some of the mystery. Walls have been built throughout time, as long as beings were capable of such feats. The Pontiff has massive walls around Vatican City to keep the riff raff out. There was the "Walls of Jericho." Fortresses were built with thick walls to keep folks out. Castles had moats and high walls. Churches built walls around their property. Walls have been used as effective barriers for as long as they have been left standing. The Great Wall of China was used a barrier to keep invaders out. We have walls around our yards to keep the neighbors out. Why does the Wheels remind me of the structures at Golbeki Tepi? They Strongly resemble the plethora of ruins in South Africa, The Adam Calendar. Doent look like a wheel so much. As you say il look more like old ruins. What are all the straith lines all around ? channel for agriculture ? Perhaps the wall was made to avert growing blowing sands so their city, villages would not have to be concerned about sand storms so much. But over time their city got buried, best to try dig there, see if theory is correct.